What are your big picture things that you’re looking out for in regard to Selling on Amazon 2017? Brad’s very first day at Amazon, he was working next to a guy named Tor. When asked what he was working on, Tor responded that he was working on the GCID program. It stands for the Global Catalog Identification system. This means that people can have a brand, and put their own brand on Amazon and have these account numbers linked to their brand. Brad says that this was the start of the whole brand revolution that has happened over the past three years. People have discovered that private labeling is much better than competing by the box. Instead of people competing over the same item using the pricing algorithm, many have moved to private label and own the ASIN. Now they get all the sales. This year, with all the fraud stuff going on, Amazon is figuring out brand protection and brand control, and those are big things coming from inside Amazon; trying to get more brand control and brand protection. Big brands, like Sony, was the originally intended beneficiary. These companies have a lot of products with fraudulent listings. Then they realized they could extend it for a lot of people. Amazon has gotten more into brand gating, and brand content because of these sellers. This is likely going to be the beginning of a program that sellers love. Amazon will get that feedback and keep building more and more around your brand. This also builds consumer trust. Consumer trust is a big thing lately. A lot of people have come out about getting defrauded by Chinese sellers not being forthright about the authenticity of their products. Now Amazon has a big PR battle to deal with. That’s a big issue. That’s a major differentiator between them and eBay. eBay feels more like the wild west whereas Amazon was more in control with actual brands. So consumer trust is one of, if not the, biggest thing on Bezos’ mind. When things like that come out, all the big heads come together and institute new programs to solve whatever problem. Amazon is trying to solve the fraud issue with brand gate and brand control. You said there were two things about where Amazon was heading. What was your second thought? It’s not so much about where Amazon is heading, but rather the minds of the brand owners needs to be going in. You have a lot of these large brands that really understand brand management because they have been doing it for 50 or 100 years. Amazon has enabled these new sellers and they are powerful and effective at building their brand. The idea, for the last couple years, is that these people have gotten a certain part of the brand going and now they have to determine where to go from here. Over the next couple years, you’ll see more sophistication in the brands. Who the brand is, who identifies with it, what’s the target audience. You mentioned the Chinese sellers. Obviously, Amazon is courting them, and trying to create a link to them. They’ve gone so far as to open offices in China. How can we, in America, the UK, or anywhere else in the world, compete with the Chinese sellers trying to sell direct on Amazon? It comes down to what do you mean by compete. If you think about what the Chinese are good at that those in the UK aren’t. They have manufacturing there with some very competitive costs. There are other manufacturers in the world that have better prices, but they’re harder to reach because you can’t look them up on Alibaba. The bigger question is, if these manufacturers can cut out the middlemen and sell direct to consumer, where does that leave these middlemen that are trying to create a brand? That’s what the majority of these sellers are. Many of these manufactures don’t have the acumen to be that middleman. They’re not very good at it. The middleman is very valuable. They are doing the work to build a brand and they’re doing the research on what’s going to be a big seller. There is a place for sellers. Remember, just because these manufacturers can make the products cheap, middlemen are still needed to figure out what products need to be marketed. There is some worry about counterfeit. If a seller does all the research and comes up with a brand idea, and what if someone else takes the idea and sell their own. Brad spoke with some attorneys when he was in Hong Kong. They said that you can actually set rules and regulations of your products with the manufacturer. That way they can’t take your product and sell it to someone else. You can work within the Chinese system and shut down other manufacturers if they copy what you’re doing. Just remember what they can do, what your can do, where the value lies, and how your brand can gain consumer trust. How often is a Chinese manufacturer gathering emails, and sending emails to their customers. That’s a very western idea and way of thinking. You can email Brad at [email protected], or use the contact form on their website, productlabs.net. If you would like to use his video service, please go to amzproductvideo.com. What are your thoughts on Amazon in 2017? What’s coming? And what do we need to do to prepare for it? It’s no surprise to anyone that sales with Amazon in 2017 will get more complicated. There is more competition. It will probably weed out those that aren’t committed and aren’t willing to invest the time and money needed. It’s going to get more sophisticated. The person just throwing something up on Amazon probably isn’t going to make it. The ones that put in the effort, and work to make sure it’s a good product to sell will excel. We’re going to need better listings now that there is enhanced brand content. More people will start using that making it more difficult for those who don’t. Email follow-up sequences will become more important. They’ve always been important, but now that they are the only real way to get reviews, they are that much more important. 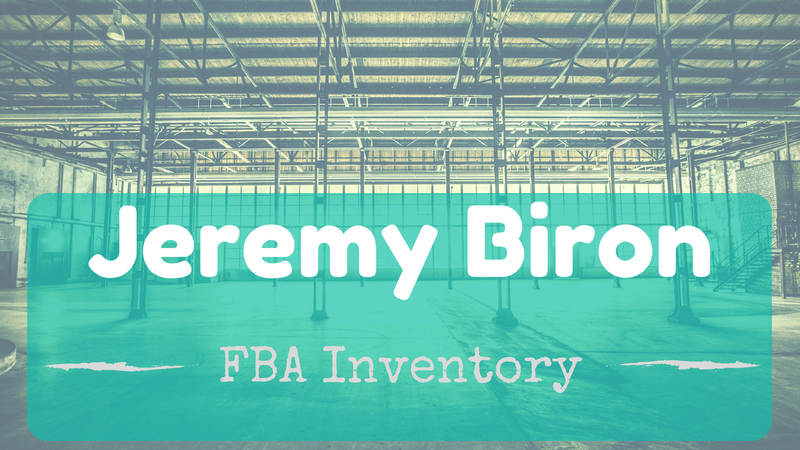 Inventory management will become more important. It’s not secret that Amazon’s distribution centers are bursting at the seams. That can’t really hold more products. So we will likely see stricter inventory control. Whether that’s higher storage fees, or they don’t allow to send in shipments on products that they already have a lot of inventory for. It’s seems obvious hearing that, but I didn’t really think about it. A couple months ago we were trying to ship products to Amazon. We were warned against sending new products until after the holidays. And it’s fantastic that you were able to talk to Amazon lawyers. It’s reassuring to know that JumpSend is sound and don’t have to worry about getting flagged or banned for using it. I’m definitely going to use it with my next launch. What are the other numbers people make mistakes on? What things to people go wrong on and how can they go right? There are a lot of great services out there to handle promotions, but one major mistake is failing to calculate the cost of those promotions. It might sound like a great idea to give away another 10 units until you factor in the cost of that. It’s important to get those numbers in front of you because that is a lot of money. Weigh your reasoning for doing that. Is it important to show Amazon that continued sales velocity? Do you want to hit 1000 reviews? Is that really important? For Ryan, he has goals outside of Hello Profit and Amazon. He wants to help others. By taking a look at his numbers and not just throwing money away to be the big seller, it helps him reach those goals. It’s a very important element of selling on Amazon that is underrated and not talked about so much. Ryan was talking with another seller that had been working with Amazon for about a year that didn’t know what unit session percentage was or where to find it. This number is very important to Amazon. Amazon has very limited amount of space to devote to ads and they spend actual money on you promoting products on Facebook and other places. So it’s in their best interest to promote products that will convert. So will they choose product A that maybe 1 out of 5 times someone that visits that page, will buy the product. Or, product B that gets 1 sale out of 10? Amazon wants the higher converting product because that means they will make more money of the sales. Whenever Ryan got his unit session percentage up, he noticed a lot more traffic to his ASIN because Amazon started promoting that product more. Is there a magic number of conversion percentage we should hit? There probably isn’t a magic number but Ryan suspects that it varies by category. For instance, in beauty, shoppers will more likely comparison shop. So they will look at several different items before choosing, therefore conversion rates will be lower. Unlike hammers which shoppers will likely buy the first one they come to. On a side note, Ryan was getting around 30% in home improvement, which is really good. Sometimes up to 40%. However, if you’re getting 20%, that’s still very good. If you’re in the teens, still probably above average. However, if you’re below 10%, it’s probably a sign there is an issue with your listing. It seems to be units per session that matters. So if you sell 10 units in a single order, it’s 100% order session percentage, but it’s it’s 1000% unit session percentage. It’s unit sales that seem to drive Amazon. If Amazon can send an ad and get 2 units sold instead of 1, they get that 15% commision twice for the same ad. It is definitely in their interest to promote that product, so focus on units per session. Refunds often denote returns, and returns are not your friend. You will get listings, and even accounts, shut down if you have too high a return rate. Hello Profit has recently started tracking your refunds for you right on your merchant and product dashboard so you can see your rate of refund. Now you can see if you are having a lot of refunds and can do something about it; check your customer feedback, reach out to them, interrupt that process somehow and contact the customer first instead of Amazon and give them their money back. Ryan brought up an example of his experience going the other way. He had a listing taken down because of returns. Once that happens, they start doing an investigation into your inventory which can take weeks. This is just as bad, if not worse than running out of inventory. Hello Profit has not gotten into the automated email append world but it’s easy to find services for that, but HP makes it easy for you to do that on your own. In HP you can pull up your entire customer list with all the information. You get the customer’s name, their real mailing address, and their phone number, and you can take that data to get their real email address. It’s amazing what you can do with this. For example, you can look up which customers used a particular coupon code, get their email addresses and add them to Facebook as a custom audience. Then you can drive them to your ad. They’ll see recognize your product which will legitimize your company to them. Then when they click on it you can direct them to another item, or to review that item or anything. This is data you can’t get directly from Amazon. You can download your order data from Amazon but it doesn’t give you the phone numbers, so you can use an email append service to find the real email. What you can do, and this is free, is download the customers that used a coupon code. You can get their Amazon encrypted email and write them that way and ask for a review. What some of Ryan’s customers have done with this data, is look at seasonal items and find that they are very geographically located. The ASIN is very hot in Texas, California, and Florida. Then, they can go on Google and target those locations only and make a killing. What top software tools do you use for Amazon selling? Cynthia Stine – She helped Ryan get his account back up when they were shut down for image non-compliance. Her team turned him onto Canva. They convert your images to make sure they are Amazon compliant. Time Doctor – To keep track of his VA team as they come up withnew products. Asia Inspection – To inspect the products before they leave the factory. Screenflow for Mac, or Camtasia for WIndows. Just a screen recorder for the tasks you don’t want to do so you can use it for training someone else. What’s working well right now for you? You can’t overinvest in your staff. They are doing the autopilot tasks. If they know that you love them, and that you care about them, and you give them praise, as well as some of your cash, they’ll love you back and you’ll be able to grow much better. Empower others so you don’t have to micromanage, and you can focus on growing your company. What trends do you see happening on Amazon over the next 18 months? I was listening to the co­creator of the Amazon marketplace and he was fielding this question about whether Amazon was just taking over the private label space. The bottom line is Amazon is going to keep growing and the marketplace, the third­party sellers, just does too well for Amazon to just take it over directly. We’re essentially Jeff Bezos’s VAs. We’re doing the hard work to make Amazon grow into the biggest most well­-rounded inventory that the world has ever seen. Amazon is too large to be able to focus on a single product the way third party sellers can. Many people worry about getting ripped off by a Chinese supplier but it doesn’t make business sense – there is a lot more money to be made selling repeat orders! What are your main tips for beginners on finding suppliers? You can find them on Alibaba or via a China Sourcing Agent. On Alibaba, just make sure they’re a gold supplier and so forth. If you need peace of mind, Asia Inspection will do a factory inspection for $100. Have them send pictures of the packaging and product while they are being produced. Any main dos and don’ts for working with suppliers? Choose a product that is as simple as possible – that way, it’s hard to mess up making it! A hunk of rubber, wood, plastic. So: very few moving parts, no electronics, hard to break, etc. Keep it simple! That’s how Will is able to travel the world with a laptop! Don’t follow weird passions like Robotic toys! Many people overcomplicate Amazon. Don’t try to make it as hard as possible; make it as easy as possible! How do we make it as simple as possible? Think of everything that can go wrong. If you can’t think of anything, that’s a good product choice! Will likes to sell (mostly) to Needs not Wants, e.g., Polka Dot underwear vs. a bolt. It’s not just about price. If you sell a 10 inch bolt for $8 instead of $12, most people will buy it because all bolts look the same. They’re not saying “Some day I’m going to buy this 10 inch bolt”! Also if you need to liquidate such a product, there’s a clear market for it, to reduce your risk. How can you build profit into that for yourself? Email the supplier and ask how much would it be for 1000 units of this product? If they say, $1 a unit landed cost, do some quick math[s]: If selling for $8, paying $3.60 or $4.50 in fees, so still making $3 each. So for every one dollar invested, he’s getting $3 back. Do you have a minimum or max selling price? No it’s more like a timespan to profit ratio. Also it’s about time you’re spending for what return. If you’re spending all day on something with a 15% return, that’s not as good as something with a 33% return where you simply reorder every 3 months. So it comes back to cashflow? So it’s all about getting cash back as fast as possible. Compounding interest is the 8th wonder of the world, so you need to take advantage of it! How do you deal with increasing competition in Amazon Private Label? As competition grows in a niche, Will sends his products directly to Amazon, and Amazon gets nearly 100% of the Buy Box. The margins are lower but Will gets the sale nearly all the time. Vendor Express (where you can apply) and Vendor Central (invitation only) are the places that Amazon will do that. If you have some kind of sales history, Just go to Vendor Express, tell Amazon “I want to sell these items directly to you”, you offer a price, they tell you if they accept that or not-they often will. If they accept, they will start placing Purchase Orders and you sell directly to them. You’ll have to keep some inventory to hand, [and you’ll have to accept getting paid 59 days in arrears!-Michael]. But if it’s a Private Label product, Amazon will outrank all others for the product for that keyword. Is that open to everyone? Vendor Express is – just google it and sign up! Is that what you do when PL is not viable for profit any more? It’s not normally a price war – it’s usually if someone else optimises their listing etc. (Private Label sellers) and does giveaways. Will has too many SKU’s to watch any individual listing. How do you manage 2000 listings? Are you literally keeping it all in your head Like a chess game? Often it’s triggered by writing a cheque. Or you can just go down a checklist by supplier. It doesn’t take long. If you’re ordering 100 SKUs from one supplier, you can just order say 50 units of each and still fill a container. So Will gets economies of scale but doesn’t risk much in any individual SKU. Also you’re turning that cash around quickly. “Cashflow is everything”. Where do you see the relationship between Amazon and Private Label sellers going over the next year or two? Competition is growing but a lot of the time the competition are doing the same dumb things! So over the next 2 years, there will still be profit to be made. Within 5-10 years, for anything that is a semi-commodity, China is just going to sell directly to Amazon. Amazon is opening training centres in China. So you’ll need to stay in low-competition niches and fly below the radar. What sort of commodity products would that be? Everything in the top 100 BSR that is not a real US brand name. Shopping on needs will be taken over by Amazon: eg silicon spatula – if Amazon can source it and sell it profitably for $2.99 and PL sellers have to sell at $9.99 to break even, Amazon will win the sale every time and therefore build massive numbers of listings. Amazon Basics is only going to get bigger and bigger. How do you see yourself dealing with this increasing competition? Will partly depends on the US brands to keep growing their businesses with their own marketing, product research and sourcing. If you have 4 SKUs total and one gets de-ranked because a bunch of Chinese sellers come in, you’ve lost 25% of revenue. Will has his risk much more diversified. Also he can see trends coming from a long way off via his many SKUs. He will be able to pivot at this point if needed. Will follows the investment principles: Diversify and get cashflow. How can people who are starting out take advantage of this? It’s not one size fits all! That’s why so many courses out there don’t make sense. –If you have $500 [£342] to invest, flip stuff from AliExpress, drop ship or get a second job and save more cash. Will suggests find a successful Amazon seller and work for them for $15 an hour and learn how it works. –$5000 [£3422] to invest is on the border. Will says it’s hard to order just $2500 of stuff from China (you’ll need to keep $2500 in cash). Maybe you can find a small retailer or do some Retail Arbitrage or find a wholesaler who will allow you to drop ship their larger products – eg, a fireplace manufacturer (big, bulky stuff). It’s not quite enough to start a business! If you can go to AliExpress, lead times are so much quicker [than on Alibaba] -you can have a product in your hands within 10 days. If you find something profitable on Alibaba, see if you can air freight it and still make a profit. If you can invest say $3000 [£2,053] to make $700 back after a month or so, that is a very good start [23%return-Michael]. As you order more, the profit margins will only get bigger over time. The rich get richer on Amazon. The more you sell, the better you rank; the more you sell, the more you can buy, so the price you buy at gets lower and your profit margin gets bigger. As you grow, it gets easier. –$10,000 [£6843] to invest is enough to order from China [by sea]- a $5000 order will get you somewhere – you could Private Label or find a Mom and Pop shop that does say $10m a year in revenue or less (spend half of inventory and keep the cash back). –if you have $50K [£3,4216] to invest, you can just call up wholesalers off the bat and say you have £10K to invest. Once you get bigger and bigger, it becomes ever more important to save money. For example, if Will can increase profit by 1% by saving money, when turning over $10m a year, that’s $100,000 extra profit. At a 20% margin, that would be extra sales of $500K a year to make that profit number up. So it’s a lot easier to make more profit by saving money than extra sales. Try to just sell as much as possible as the beginning, but at some point you will need to lower your costs. How can people find out more about you, Will? What is your parting advice for someone wanting to get started? Don’t go after your passion, go where the cash is. Don’t be afraid of making a mistake, more times than not you can liquidate and get your money back. Keep moving forward!